From our knowledge of the french Riviera, we are the only accomodation to offer Organic & local ingredients in their cuisine. This is part of our commitment to our guests, the environment and the local farmers. At Les Rosees we have made the choice to have a single daily menu based on what fresh ingredients are found at the market or in our very own vegetable garden. 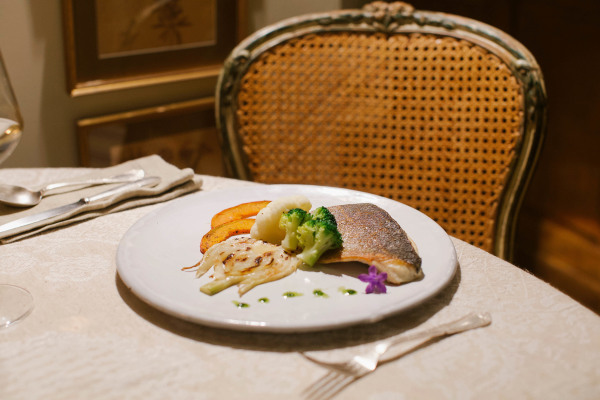 Our talented Chef, who has worked in many gastronomic restaurants on the French Riviera, improvises daily and can adapt his menu to individual request. 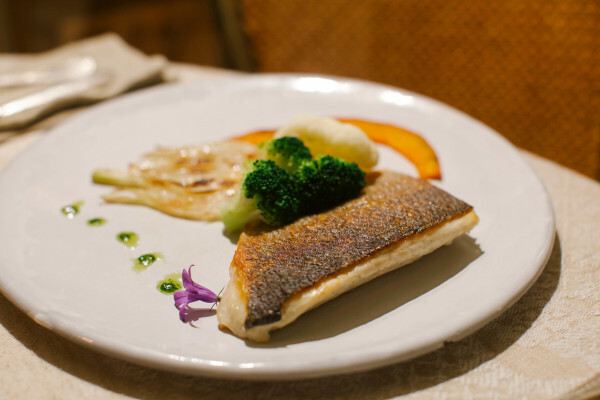 His cuisine aims to exhibit the authentic flavors of each ingredients in a traditional Provencal & french style. He is also well versed in composing gluten free, dairy free menus, and/or vegeterian menus on request. You can now reserve your table by using the Fork App at the bottom of this page ! 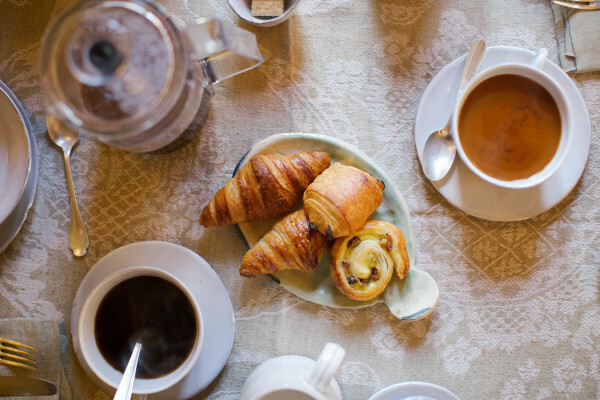 Breakfasts are the starting point of your day and it matters to us that all your senses are awakened at this special time of the day. 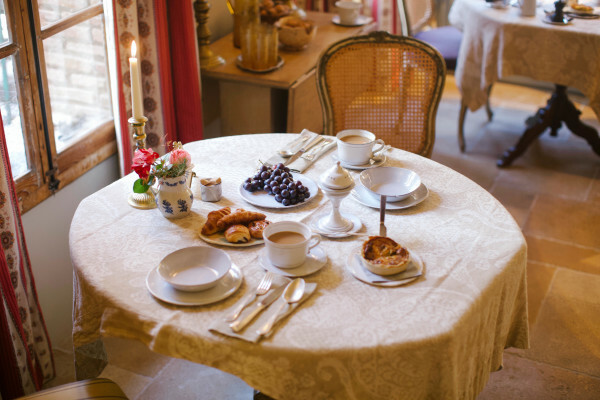 Over 15 years in operation, we have refined guests experience by improving each of the items that come to greet your senses ; The soft touch of your table clothe and napkin, the delicate colours of the garden flowers, the gentle twitching of the candlelight, the Jazz music in the background, the waterfountain in the background. As with our lunches and dinner, the products at breakfast are for the most part Organic and local. Many of our Jams are either home made or purchased from small producers in the Alps. This is our small contribution to helping the environment and being socially responsible. Plates flow out of our kitchen all day long..
Once breakfasts is over by about 10.30 am, our staff commonly prepare brunches and lunches on request. Whether you are looking for a healthy fruit salad, a plate of local cheese and Parma ham, a Mediterranean salad, or maybe just a strong coffee to get you started for the day, we are here to help. 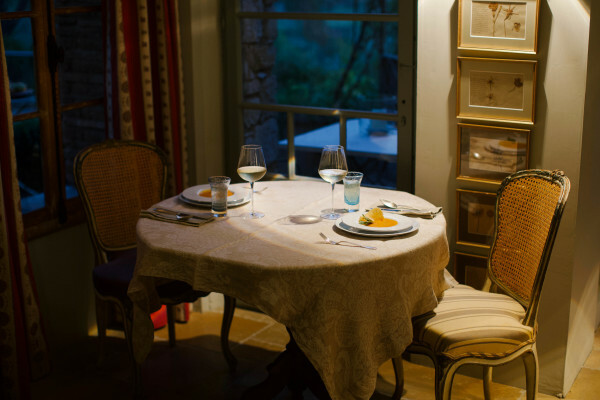 If you arrive at Les Rosees before your check in time, do not hesitate to request a table while waiting for your room.